He was Muhammad al-Tayyib al-Dillisi al-Maliki ibn Muhammad al-Mubarak ibn Muhammad al-Dillisi al-Qayrawani, whose lineage goes back to Mawlana Idris, the founder of the city of Fas and great grandson of sayyiduna al-Hasan Sibt Rasul Allah (sall Allah-u `aleyhi wa sallam). He took the Shahdili Tariqa from Sayyidi Shaykh Muhammad ibn Mas’rd al-Fasi. He was his khalifa, and the revived of the Shadhili Path in Sham. His family came from Algeria, where they lived amongst the berbers. They were sent to guide and educate them, and they learned their language and intermarried with them. Sheikh Muhammad al-Tayyib was born in Dillis in Algeria around year 1255 H.
He grew up under his father’s tutalage. Together with him he came to Damascus year 1263, in the first of a series of emmigration waves caused by the French colonial war. This was a group of about five hundred families, lead by his maternal grandfather Sheikh Muhammad al-Mahdi al-Saklawi. As a young boy, he memorzied the Holy Quran perfectly, and learnt calligraphic hand-writing. 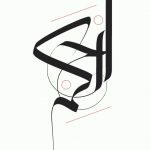 In 1269, his father, Sheikh Muhammad al-Tayyib al-Kabir – rahimahu Allah – passed away, and Sheikh al-Saklawi, took him under his wing and raised him in the Khalwati tariqa. When Sheikh Muhammad al-Fasi came to Damascus in 1282, Sheikh Muhammad al-Tayyib took the Shadhili tariqa from him. He devoted himself to it for a long time, after which he was given permission from Sheikh Muhamamd al-Fasi to deliver admonition and guidance to others. 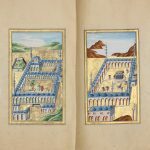 In 1287, he was sent with al-Amir Sheikh `Abd Al-Qadir, together with Sheikh Muhammad al-Tantawi and some other people, to the city of Konya in Turkey, in order to compare with their copy of “Al-Futuhat al-Makkiyya” with a hand-writing of its author that existed there. The two Sheikhs recited the entire book twice, and then returned and recited it again to al-Amir `Abd Al-Qadir. 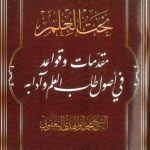 Sheikh Muhammad al-Tayyib excelled in intelligence, good memory and fluency of the tongue. He was agreeable in his way of dealing with people, mild-tempered, abstaining from worldly things, content with litle and very generous. He was respected an accepted, and he understood the language of common people. His meetings attracted many lovers, he was always enquiring about the brothers, and encouraging them to marry. 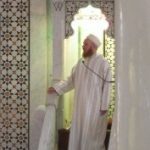 For some time, he earned his living as a book binder, until he received the permission of Sheikh Muhammad al-Fasi to devote himself to spreading the Path. Through him, the tariqa was spread and the adhkar where established, and many wayfarers entered this Path. His main center was in the Khaydariyya zawiya, where the adhkar were regularly recited and hadras performed. 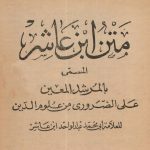 After the passing of Sheikh al-Mahdi al-Saklawi – his grandfather, Sheikh and tutor, rahimahu Allah – in 1278, Sheikh Muhammad al-Tayyib took his place as a lecturer in Dar al-Quran al-KhayDariyya, located in the old city in Damascus, near Dar al-Hadith. He continued teaching in this Madrasa until he passed away, and his office was handed over to his brother, Sheikh Muhammad al-Mubarak. Besides this, he also had another center in Mazza, near the maqam of the sahabi sayyiduna Dihya al-Kalbi, and a third one in Zakya, one of the villages of Qura Hawran. His successor in the Shadhili Tariqa was his brother, Sheikh Muhammad al-Mubarak, through whom it has been passed down to the Ya`qubi family. Once he was walking, together with some companions, in one of the market places of Damascus, and their presence drew the attention of people. One man then said to himself: “If it is not due to tricks and cunning crafts that this Sheikh possesses, why would these people gather around him? !” That very moment, the Sheikh turned straight towards him saying: (* Inna ba`da al-zhanni ithm*) (Certainly, some assumptions are sinful, Q). He then turned towards Sheikh `Abd al-Rahim and said to him: “You found your camel”, and within a very short while, two Arabs came and brought him the lost camel. His tomb is located on the hillside of Mazza near the maqam sayyiduna Dihya al-Kalbi. 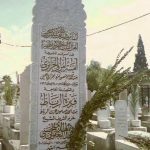 It is in a private home near what is tday Jami` al-Ra’is in Mazza, next to what was previously a mosque named after him, where he used to teach. The original mosque was demolished to give way to presidential buildings for the Asad family. With him is buried one of his students. 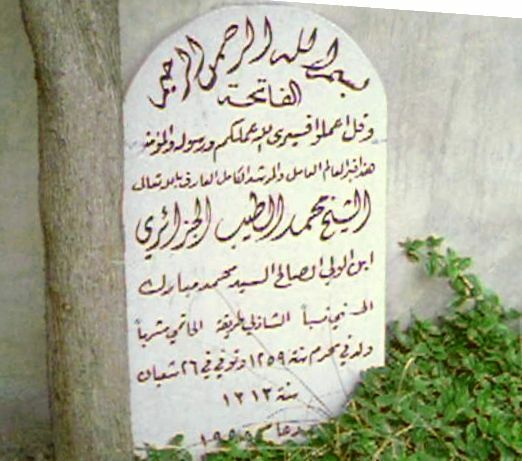 Tomb stone of al-Sayyid al-Sheykh Muhammad al-Tayyib – qaddasa Allahu sirrahu – in Mazza. 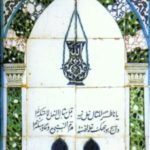 Tomb of al-Sayyid al-Sheykh Muhammad al-Tayyib – qaddasa Allahu sirrahu – in Mazza.